Really Lovely Colour Ruby and Diamond 9-Stone Cluster Ring [SH7113] - £1,050.00 : loveVintageDiamonds.com, Your Vintage Diamond Dreams Come True! 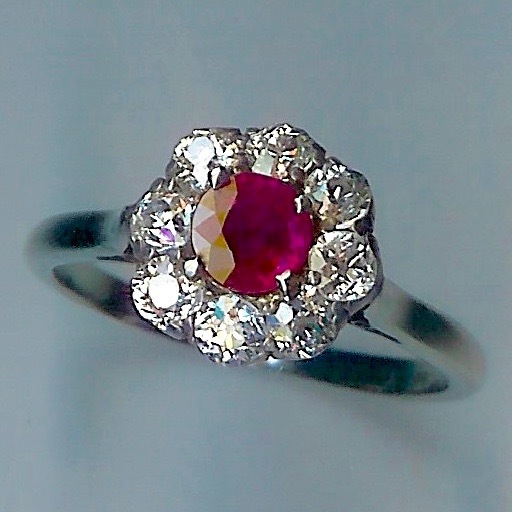 Really Lovely Colour Ruby and Diamond 9-Stone Cluster Ring, Stamped as 18ct Gold. c.1920. Set with a gorgeous round-cut ruby, approx. 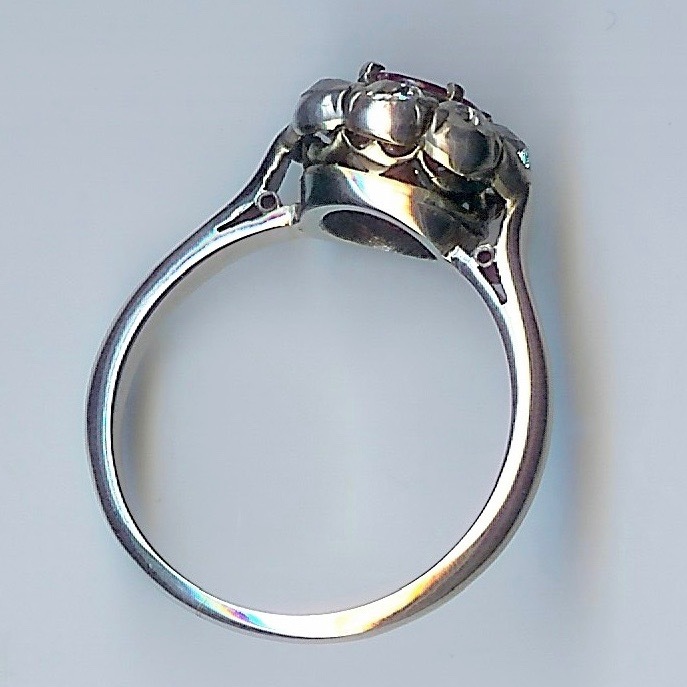 5mms diameter, surrounded by 8 rose-cut diamonds in a cluster design. Total diamond weight is approx. 0.56cts. Claw settings and shank are white. Marked '18ct' and tests as 18ct gold. The overall weight of the ring is 3.4gms. STONES: estimated SI1 to SI2, and clean to the naked eye. DIAMOND WEIGHT: approx. 0.07cts ea, total approx. 0.56cts.